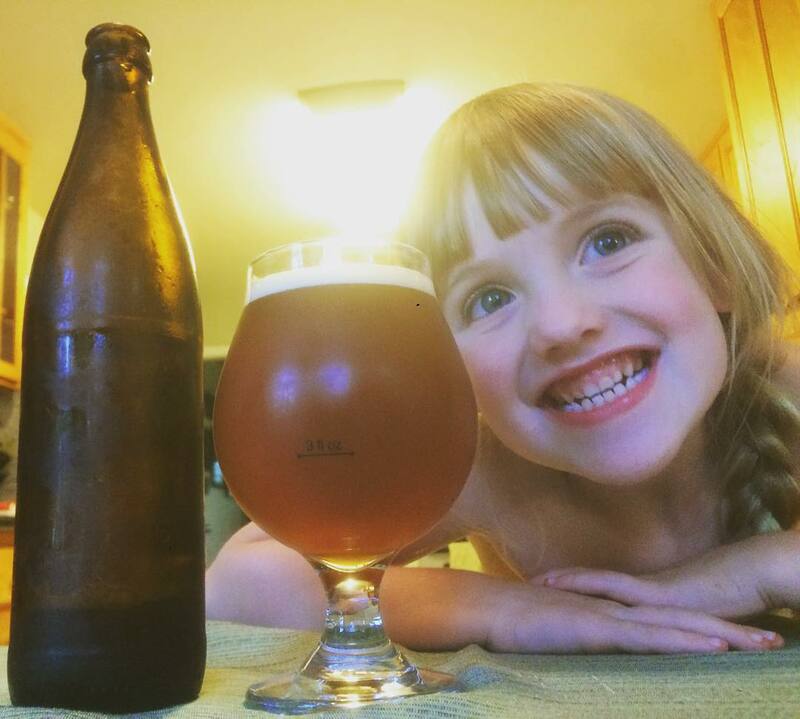 We moved to a house with room to grow a few things a year ago, so I decided to brew a beer with some ingredients harvested from our backyard. 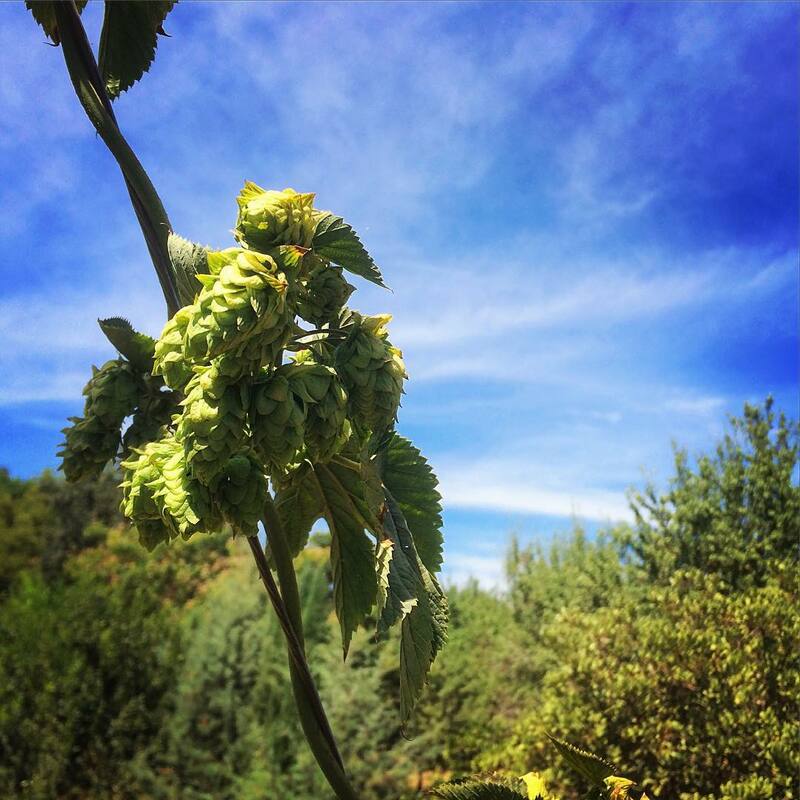 Homegrown Cascade hops on the bine. 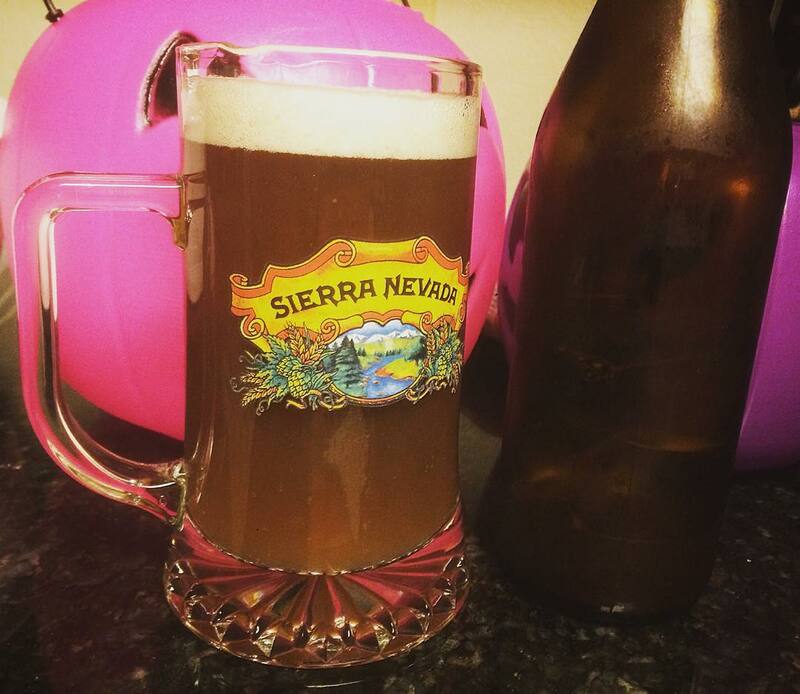 The beer started as a five gallon batch brewed and dry-hopped with homegrown Cascade hops. Then I split it into three smaller batches. I added one pound of peaches to two gallons of beer, one pound of apricots to another two gallon batch, and jalapeños to a one gallon batch. The malt, Palisades hops, and yeast were purchased at my local home brew shop. After secondary I split the beer into the three batches described above. 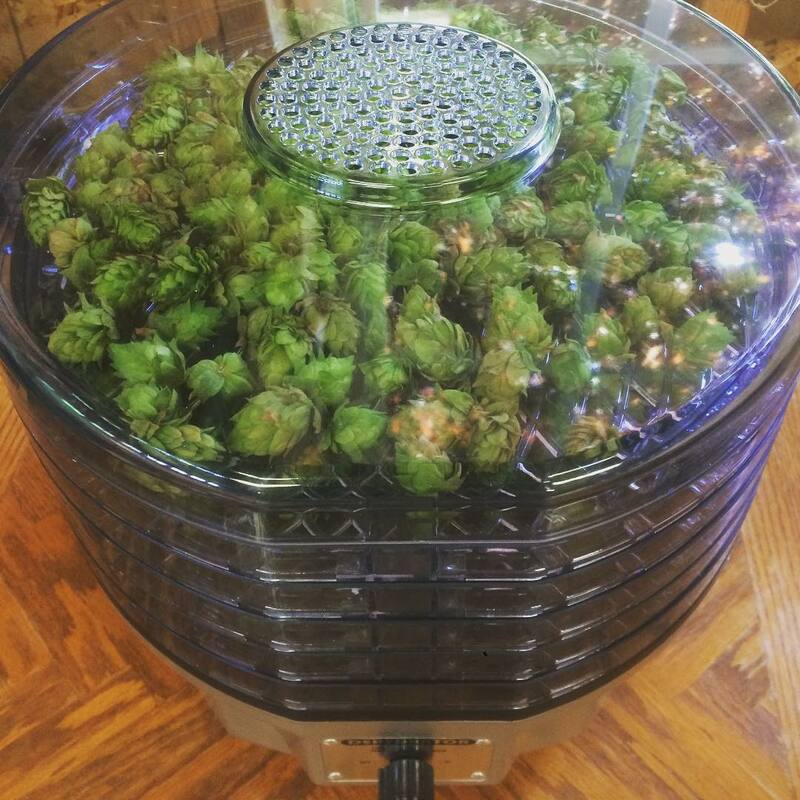 I sliced the fruit into quarters, removing the pits, and let them sit in the oven at 180° for 15 minutes to kill off contaminants. 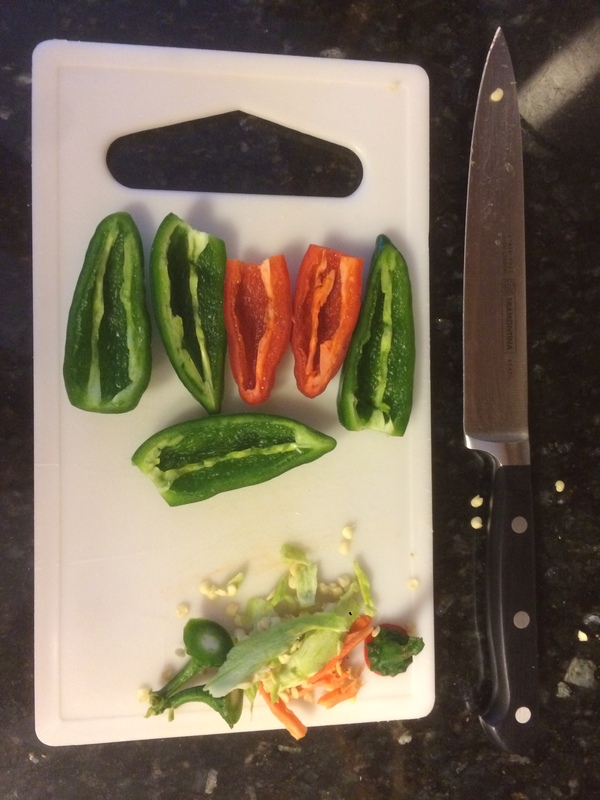 I sliced up two green jalapeños and one red jalapeño, removed the seeds, and soaked them in vodka to kill off contaminants. I put the batches in three small fermentors and let them sit for another week. There was a bit of bubbling coming from the fruit batches, but not as much as I had anticipated. 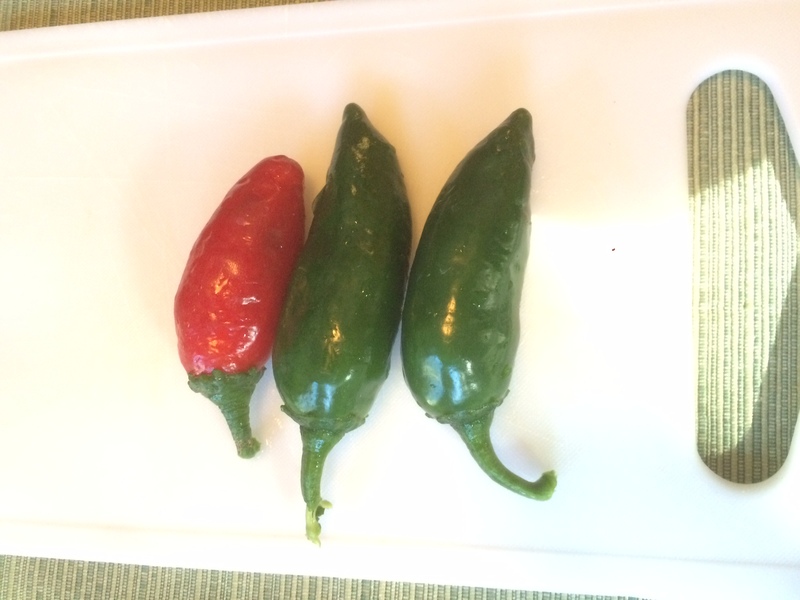 I didn’t bother to put an airlock on the one gallon batch with the jalapeños. 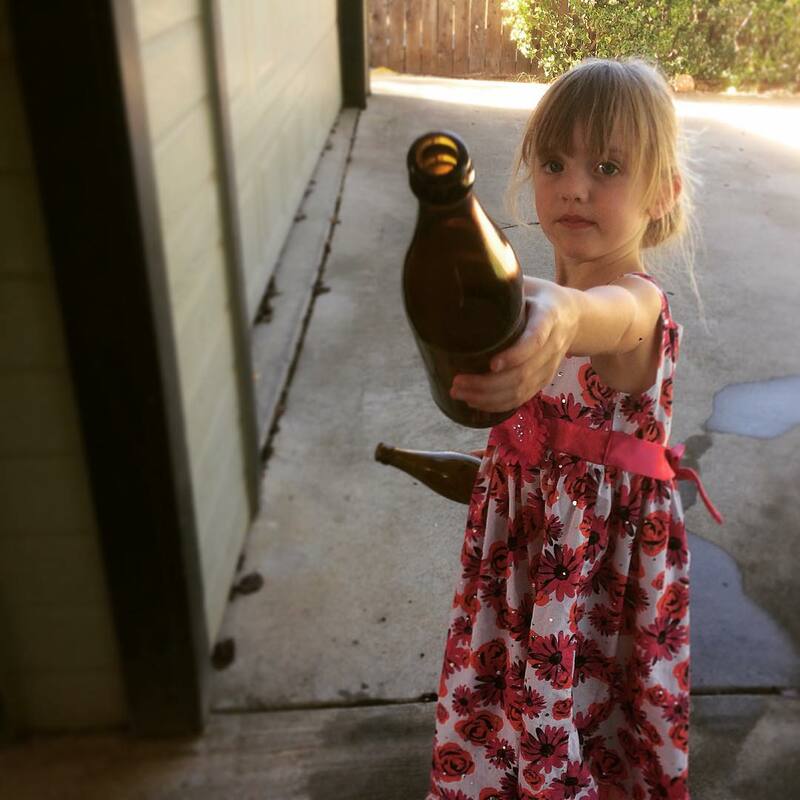 After the week was up my assistant and I bottled the beers. The assistant brewer helps with bottling. After a couple weeks in the bottles I gave the beers a try. I’m very pleased with how they turned out. All three batches are under-carbonated as I was very conservative with the amount of bottling sugar added. The apricot batch if my favorite of the three. It has a bright, tart apricot flavor, a fantastic aroma, and good balance. The peach batch looks like mud, isn’t quite as bright, and is sweeter than the apricot batch, but it’s still tasty. 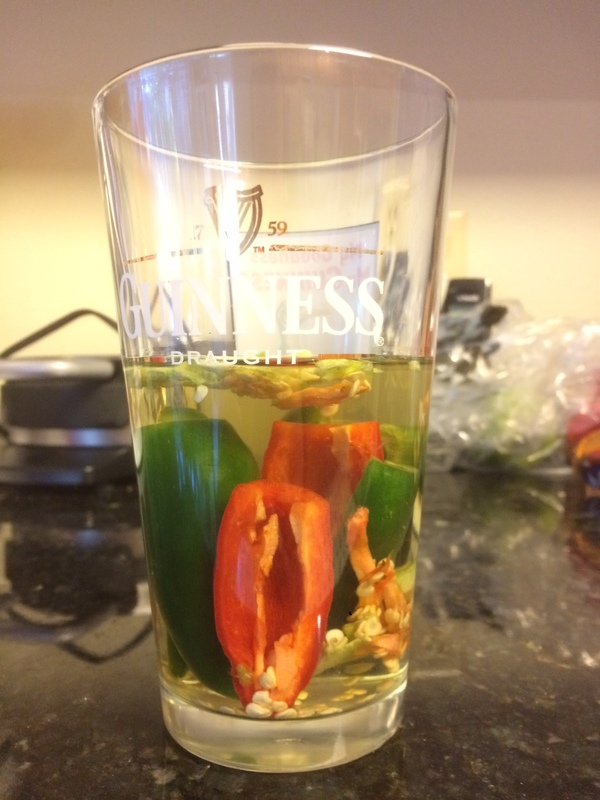 The jalapeño batch, other than being a bit flat, came out exactly as I imagined…but a pint of it is a bit rough, as it is fairly hot. I’m glad that was the smaller batch. More bottling sugar to increase carbonation. Figure out some way to clarify the fruit beers, they’re pretty muddy looking.